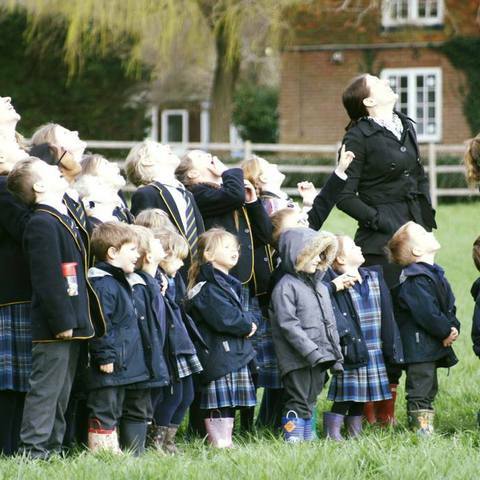 Last week Year 2 enjoyed a French shopping and café experience, without even having to set foot out of the county - let alone Beechwood Park! In preparation for this exciting day, the children had spent several weeks learning the names of key shops and associated food items. They had also been practising how to greet people politely (depending on their gender), how to ask for something politely and how to say thank you. With all of these bases covered, the children also had a closer look at the currency that they would require - euros. On the day, equipped with a shopping list, a shopping bag and a purse containing (pretend) euros, the enthusiastic shoppers set off on their mission. 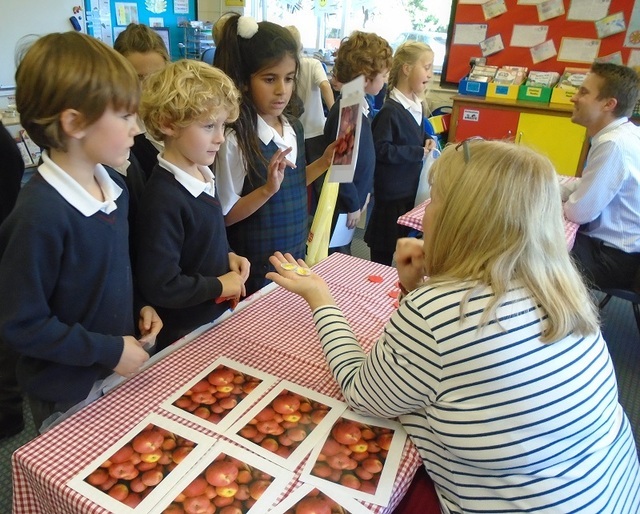 Working in pairs, the children had to buy two items from each of the four shops available; namely. la boulangerie, la pâtisserie, la charcuterie and le supermarché. 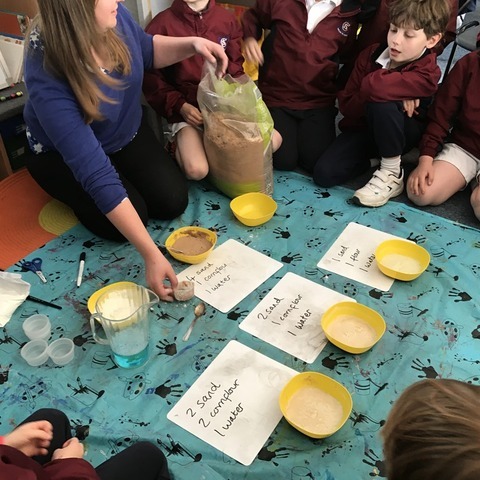 These shops were under the management of Madame Fairburn, Madame Greenwood, Madame Bliss, Madame Balfour, Madame Breheny and Monsieur Sheridan, to the delight of Year 2. During their shopping excursion, the children had the chance to buy un croissant, un pain au chocolat, une tarte, un gâteau, du jambon, du saucisson, des tomates and des pommes. At each shop they queued nicely, as required and took it in turns to ask for the items they wanted to buy. Shopping lists ticked, the children then retired to the café (manned by the Year 2 classroom assistants, and Year 2 teachers). 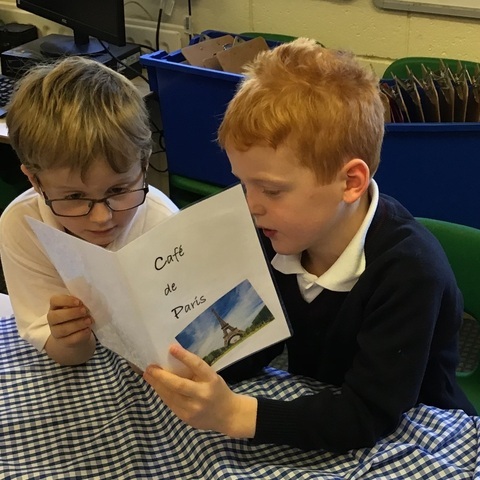 As French music played in the background, the boys and girls were able to sit back, relax and order a croissant and a choice of drink from a selection on the menu. What a civilized day! 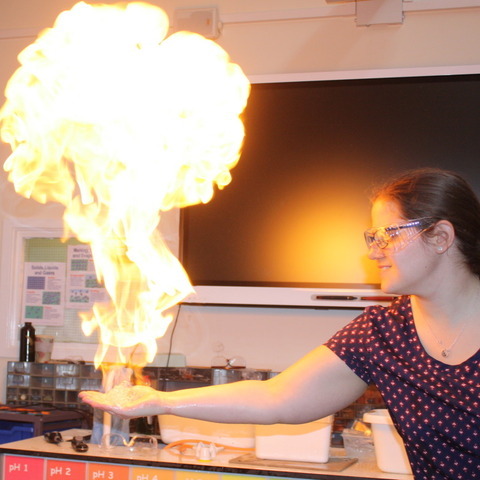 Not only did the children really enjoy this hands-on experience, but they were thrilled to be able to use some of the French that they had learnt so far this term in a real-life setting. 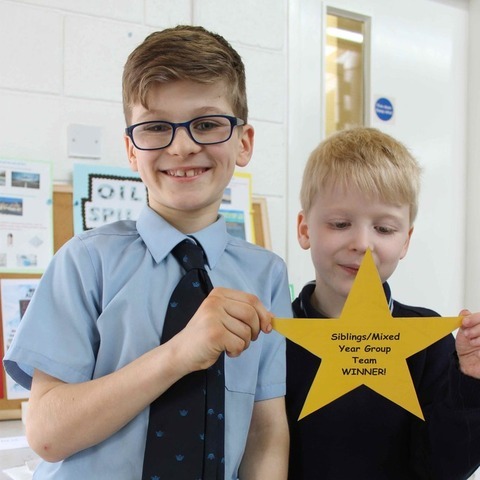 As well as the assurance that came with discovering that they could be understood when asking for something in French, Year 2 gained confidence from dealing with teachers (or shopkeepers) who they had not met before. This experience encouraged the children to work with a partner, take turns and wait in line at the shops. They also had the chance to handle French money and work out how to find the correct coins to pay with. 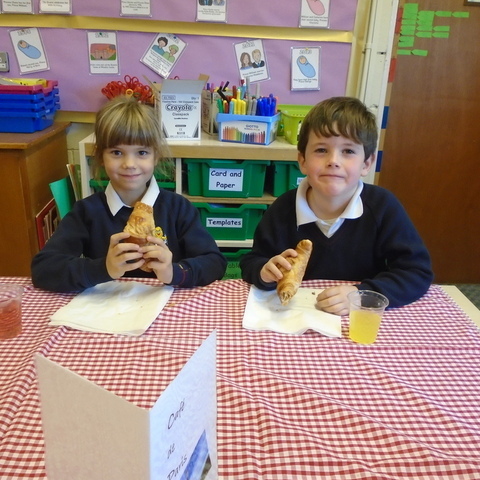 Finally, everyone enjoyed their French café visit with a real croissant to eat. 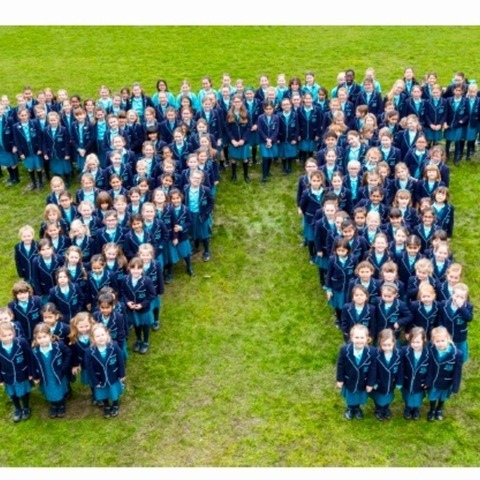 An amazing all-round experience! Thank you to the great team who made it all possible.